Nick Foles is expected to make his preseason debut against the Patriots Thursday. Philadelphia Eagles football heads on the road for the first time in 2018, as the Birds will take on the 2017 runner-up New England Patriots in their second preseason game at Gillette Stadium Thursday night. There aren't much in the way of starting positions that are up for grabs, but there are some interesting depth battles to watch, such as at running back, linebacker, cornerback, and punter (against himself). Earlier this morning, we pointed out five things to watch tonight. Like in the first preseason game, Carson Wentz will not play. Unlike the first preseason game, it is expected that Nick Foles will. 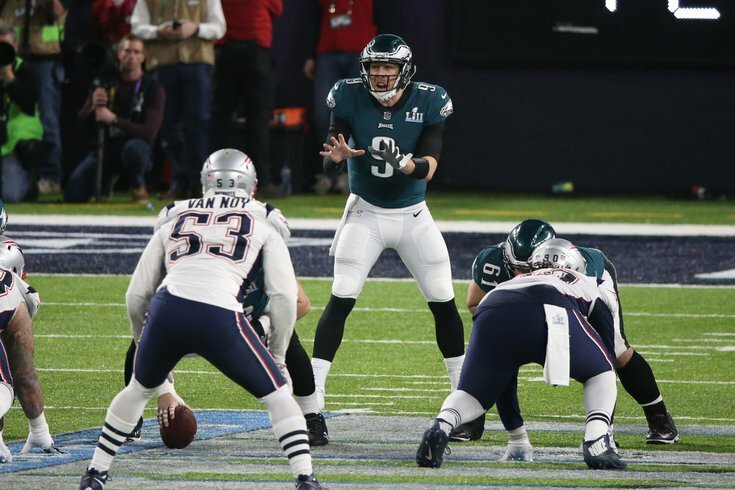 To be determined if Tom Brady, who will also play, will finally congratulate Foles on his Super Bowl win. The Eagles' starters got a small amount of playing time in the first preseason game. They should get somewhat more tonight. Feel free to comment on all the scintillating preseason action below.